My husband used to take care of the kids in the mornings because I have a hard time with mornings. But he works the third shift now and I now have two children in school. I have to wake up at 6:30 after little or no sleep and have the kids on the bus by 7:30 a.m. It is becoming increasingly difficult and I keep waking up later and later. This makes it harder because then I have to get them both ready in less time. Sometimes they balk. One is an occasional bed wetter, which makes it worse each morning. So far I have managed to get them to the bus each morning on time. But, I know it is just a matter of time that they miss the bus on my account. I really need prayers. That said, here are some tips that may help. Probably the most important theme through it all is to stick to a routine. The first few days of a new routine may be stressful, but soon your kids will learn what is expected. Get as many things done the evening before as you can. This includes getting the backpack ready, lunches packed, permission slips signed, etc. Have the kids pick out the clothes they will wear, or if they change their mind a lot, let them have 2 options. If your daughter likes accessories like bows for her hair, have her put these in a single bag and add it to the hanger of the outfit. See how many things you can put on a timer or alarm. For example, though you may get a little less sleep, you could set an alarm to go off thirty minutes earlier than usual. Then turn on a heating pad, take your medications if possible, or put on a couple “pain patches.” By the time you have to get up, maybe a few things will have kicked in to help make a difference when your body has to get moving. I know coffee won’t make the pain go away, but if the smells perks you up just a bit, set an alarm for that too. Your kids may like their own alarm clocks too. Waking up to their favorite songs or a fun talking alarm clock can make it more upbeat. My friend Karen Whiting advises to assign each child a color for all of his or her personal items. This can include a towel and washcloth, toothbrush, bowl, cup, basket, hooks, and more. When something is left out, it’s also easy to know which child needs to put it away. You can also use schedule cards for younger kids. 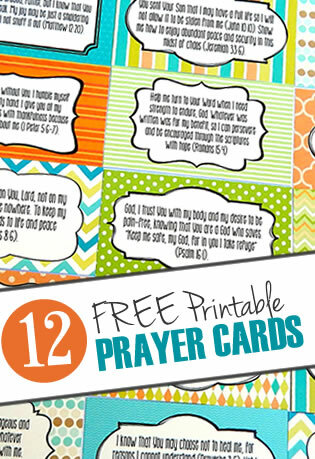 Here is a link to free printable cards. Talk to your doctor about your needs and see if there are any tips he may provide. For example, last year they had a study for “Timed Release Prednisone Tablets” that could be taken before bedtime, so it kicked it before a patient got up, but that didn’t keep one awake all night. Consider what can help your body function better. For example, for moms who need to drive to school, a hand-warmer in your coat pockets may help during colder months. I have a memory foam steering wheel cover that makes driving and steering much easier. If you have difficulty getting your arms into a coat, get a big shawl you can drape around you and a scarf. If your kids are picky eater, have breakfast options they can take care of themselves. What do your kids like to eat? There are lots of healthy foods refrigerator like yogurt drinks, apple sauce, apple slices. Keep these all in a plastic basket in the fridge. On the table, have a basket of other items, such as breakfast bars or fruit leather. Have a counter top cereal dispenser that makes it fun for them to help themselves. If the school as a breakfast option that you can afford, you may want to consider it. If your kids love pancakes and you have time to make them, try using the batter you squirt out of a can. Give rewards to the kids for doing as much as they can on their own. You didn’t mention their ages, but even young kids can get partially dressed or wash their face. Decide what you can reasonably expect from them and then what the reward will be. One of my friends rewards her four-year-old with dimes. He feels like he is earning money and it’s a good way to learn to count. If he does well all week, they get to go get a Slurpee at 7-Eleven on Friday. You can also find free printables for lunchbox notes and more at this web site Living Locurto . Don’t fight what is natural. It may be nice to have the children’s coats hung in the closet each day, but do they really come home and hang it? How many times are your looking for shoes or coats in the morning? Instead, just add hooks or baskets to easy-to-reach locations. Don’t have 30 minutes of chores for your kids when they come home from school, but do make sure homework is on the table, coats and backpacks are hung up, etc., before the TV is turned on. Have a list for each day on a white board. Every Sunday I copy everything from my calendar to the white board in the kitchen. It lists the day library books are due, permission slips, when extra reading class is, etc. If anyone else needs to help you during a difficult time, this is also an easy way for them to see what is due or who needs picked up when and where. Have a backup plan. If you are unable to drive your children to school, is there someone you can call occasionally on an exceptionally bad day? Is there anyone who walks with their kids you would trust to allow your child to walk with sometimes? You mentioned, “At night I am so drained, I have not been doing my best at laying everything out at night. I think I should try finding a moment during the day to start doing this now.” We’ve all been there! Do whatever makes sense to you. Clothes can be picked out on the weekends. Organize lunch snacks on the weekends. I put lots of non-perishable snacks for lunches in zipper bags on the weekends and label the day so he has variety. My son, 8, has also just learned how to make a peanut butter sandwich. If I let him make me a half of sandwich at the same time, he thinks it is fun and helpful. Try to get silly. I know singing a song or making faces may be the last thing you feel like doing, but if everyone gets in the car on time or to the bus stop, have some routine that rewards the kids. My son loves for us to come up with a story, taking turns making up one sentence at a time. Some children who have ADD or sensory processing disorder may benefit from a few minutes of running around outside or pulling the wagon around full of something heavy while waiting for the bus. (We’ve done this: If you are interested it is called the “sensory diet.”) It feels good to get them out the door with smiles on their face, and they will have happy memories of mom being fun, not moaning and groaning. Hope this helps, and yes, I know it is MUCH easier said then done. I am still trying daily to take my own advice! We are here for you for support for those rough days. Lisa Copen is the founder of Rest Ministries and a mother of an 8-year-old son who has a ton of energy! She is working on a book for Christian moms with a chronic illness. If you would like to submit your own tips, questions, experience, stories, etc. she’d love to have them! 2 Responses to How Can I Get Kids Out The Door To School When I Can Barely Move? Thank you so much Lisa! This is all such good advice! I have to take my 4 yr old daughter and me to MDO/Preschool 3 days a week (I work there too) and sometimes it’s such a battle! I’ve already printed this out and plant use as many of thses suggestions as possible! Lisa, this is an excellent article with absolutely wonderful tips I never have considered before… I have the same problems and concerns getting my child up and driven over to school every morning 30 minutes away. Your tips are so comforting and I am starting on them right away. I love the Bible verse too, and have put it as my screen saver on the computer. God bless you for your work put into this article.